Madagascar is a country well known for ecotourism. In the north-east of the island, precisely in Maroantsetra, in Antongil Bay, the Masoala National Park is a real tourist attraction. This region is characterized by its rich biodiversity, it is also a UNESCO World Heritage Site since 2007. Masoala Cape combines perfectly the land and the sea with the diversity of its landscapes. The place offers a great terrestrial and marine biodiversity, conducive to all tourist activities proposed by travel agency Madagascar: hiking, diving, cultural visits… According to the National Tourist Office of Madagascar (ONTM), nearly 3,600 visitors went to the Masoala National Park in 2017. Masoala National Park is located on a peninsula near Maroantsetra on more than 235,580 ha. It is open to the Indian Ocean and limited in the west by the Antongil Bay. The park is the most important area of ​​marine and terrestrial biodiversity in Madagascar. Indeed, half of the endemic plant species in Madagascar are visible in this park. Masoala National Park is a grouping of seven parks: four land parks and three marine parks. The region is home to more than 600 plant species, including 90 species of seaweed, about 50 species of palm and seven species of mangroves. There is also a great diversity of animals, including red-colored lemurs, Aye Aye, tomato frogs … Masoala National Park is also the natural refuge of the serpentine eagle (Eutriorchis Astur), a endemic species of the eastern wet forest of Madagascar. The region also seduces with its islets of rocks, its Coralie reefs and also its areas of meadows. The Masoala National Park includes a dozen tours. Everyone can find happiness on land and at sea. 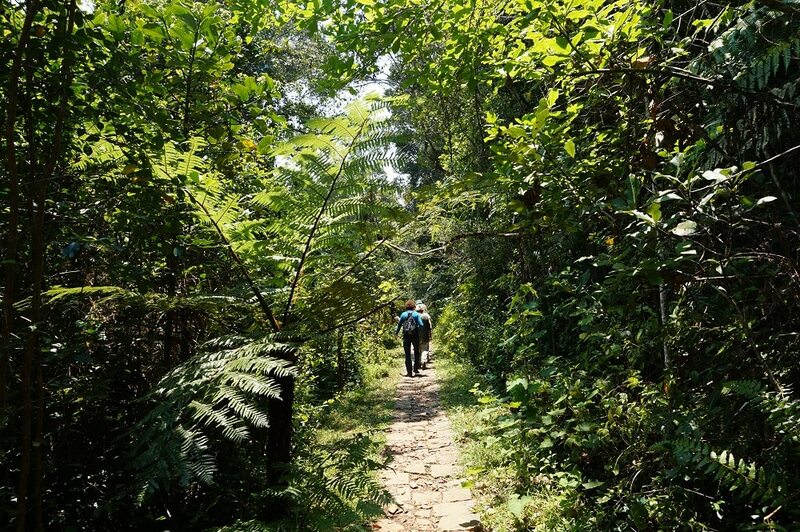 There are many different activities such as trekking, hiking in the rainforests, kayaking or birdwatching. Lovers of the landscape diversity will be amazed with the circuits and excursions on Nosy Mangabe or along the west coast of Masoala during their vacations Madagascar. Many cultural and historical tours and excursions are also available. Visitors will be able to discover the waterfalls, the old railway, the bucolic rivers and many other surprises. The park has three marine sites, accessible for snorkeling. The warm, turquoise waters of Antongil Bay are conducive to scuba diving for the discovery of fish and the coral landscape. The lucky ones will be able to observe the humpback whales that come to Antongil Bay to mate. Nosy Mangabe, also called Nosy Marosy, is a special attraction in Masoala National Park. Despite an area of ​​only 5.2 km2, the island is full of history and rich fauna and flora. Old rocks still bear many inscriptions on the passage of the first men on the island to the adventures of the Dutch and European sailors of the seventeenth century. There are 5 species of lemurs, 39 species of birds and several species of reptiles. On the flora side, the evergreen forest called “Lohatrozona”, the coastal forest “Tampolo” and the flooded forest of Andranoalana make the richness of Nosy Mangabe for the great pleasure of those who travel Madagascar and visit this region. Traveling with Tsiky Tour, it's above all to be sure to visit Madagascar in the best conditions. Imagine the holiday you want to have and we will transform it into reality.